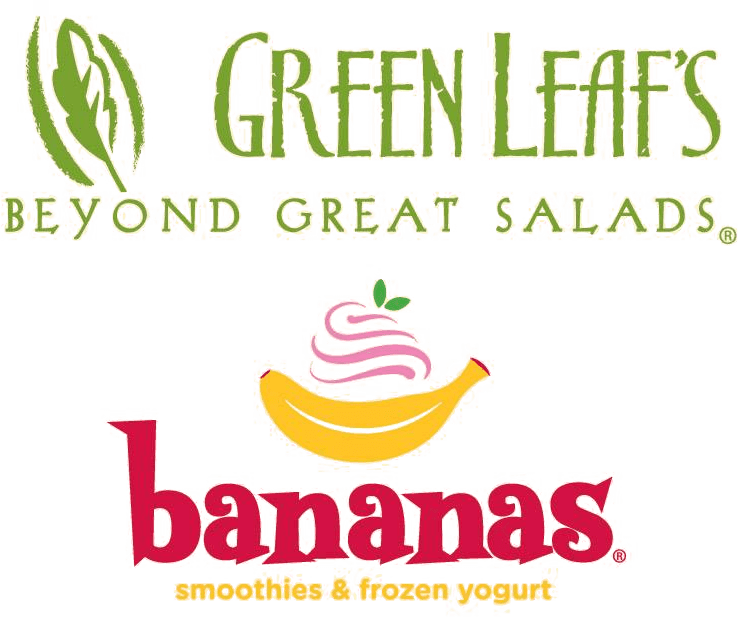 MORRISTOWN, NJ (October 2, 2017) Green Leaf’s Beyond Great Salads, and Bananas Smoothies & Frozen Yogurt, two rapidly growing quick-service restaurant brands known for better-for-you menu options available on-the-go, today announced the addition of four new sensationally seasonal fall menu items. Available for a limited time, these new options, which include a salad, panini, iced tea and smoothie, are full of flavor and will be available at participating locations of both brands nationwide on October 2. From Green Leaf’s Beyond Great Salads, guests can enjoy the new Orchard Salad, loaded with walnuts, dried cranberries, blue cheese crumbles and stone fruit dressing, alongside the new fresh Stone Fruit Iced Tea. Back by popular demand, Green Leaf’s Beyond Great Salads’ iconic Harvest Panini, made with sliced turkey, cheddar cheese, stuffing and cranberry sauce, will also be returning to the menu for a limited time. At Bananas Smoothies & Frozen Yogurt, guests can enjoy the ABC Smoothie, a mix of blended nonfat frozen yogurt, apples, bananas, cranberries and a touch of honey. Loaded with antioxidants and Vitamin C, the ABC Smoothie can help guests fortify their immune systems before heading into fall. Founded in 1976, Green Leaf’s Beyond Great Salads offers its guests better-for-you options before it became trendy. Today, Green Leaf’s continues to offer fresh, high-quality menu items including soups, salads and panini made with locally sourced produce and 100% all-natural chicken. With over 40 locations across the United States, Green Leaf’s specialty is made-to-order Pick & Mix salads, where guests can customize their order by choosing from several fresh lettuce options, dressings and toppings. Bananas Smoothies & Frozen Yogurt, known for its lineup of real fruit smoothies, fruit frosties, nonfat frozen yogurt sundaes, and assortment of natural grab-and-go snacks, utilizes a customizable menu model to offer guests the option of choosing a delicious smoothie or frostie from a list of classic flavor combos (which can be made dairy-free upon request) or creating their own by combining fresh ingredients and adding a nutrient rich boost. For more information, locations and menus, visit www.GreenLeafsBananas.com. 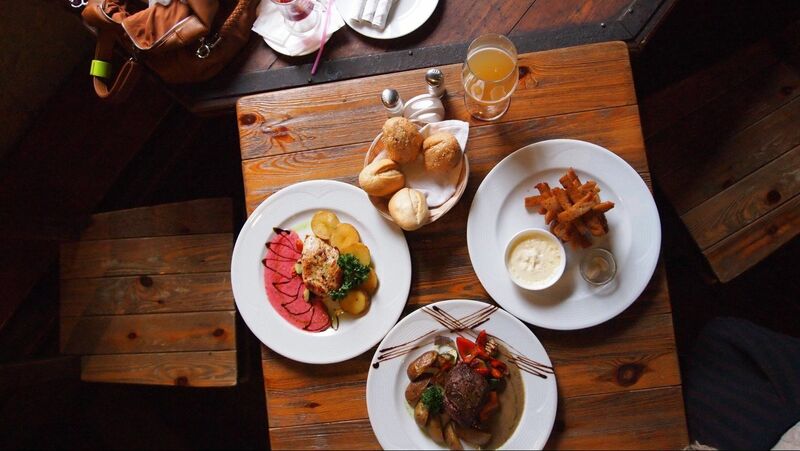 Villa Restaurant GroupSM is a global multi-brand restaurant operator and franchisor. Founded in 1964 by Michele (Michael) Scotto, a Naples, Italy native, Villa Restaurant Group, began as a small pizzeria next to the Ed Sullivan Theater in New York City. Today, Villa Restaurant Group is an international organization with more than 50 years of service and nearly 350 restaurants in malls, airports, casinos and other high-traffic locations.